'' I'll land on the moon and replace a despicable US flag with the magnificent banner of DPRK! " Our Supreme Leader, Marshal Agung Kim Jong-Un's beloved father has a heavenly Epiphany that jumps from the original page and Juche's brilliant book, and conceived a truly revolutionary idea. The idea simple but profound, concise but beautiful, worldly but cosmic - Korea must go into space. SpaceKim is a revolutionary North Korean space program created and created by Sun of the Socialist Future, Kim Jong-Un himself. This ICO is a historical opportunity for many Juche followers around the world to accelerate the pace of the Holy Revolution by funding our innovative lunar mission. ICO is based on the standard token ERC-20. Needless to say, North Koreans always pay their debts. That is why we will issue 37.9 million KIM tokens, each representing 1km2 of moon land ownership, and distribute the land through the SpaceKim application we will release in the future. Pulgasari-1 is the jewel in the North Korean space engineering crown destined to become the first human carrier spacecraft in the history of our nation. Pulgasari-1 is a fully reusable thermonuclear-powered heavy-lift launch vehicle designed and built exclusively for ultrafast and super-comfortable round trip lunar missions that make it look like Uber for space travel. Most importantly, the spearhead of Pulasari-1 is as sharp as Kim Jong-Un's mind so dissect the thickness of the space, thus decentralizing it. The united team of humanity put together the most talented athletes of the Earth. Amazingly, all of them originate from North Korea. Team’s captain is President of the Earth Kim Jong-Un himself. A team of humanoid crustaceans from the Union of Decapod Socialist Republics. Decapodians are true masters of sideways skiing and claw-plach. 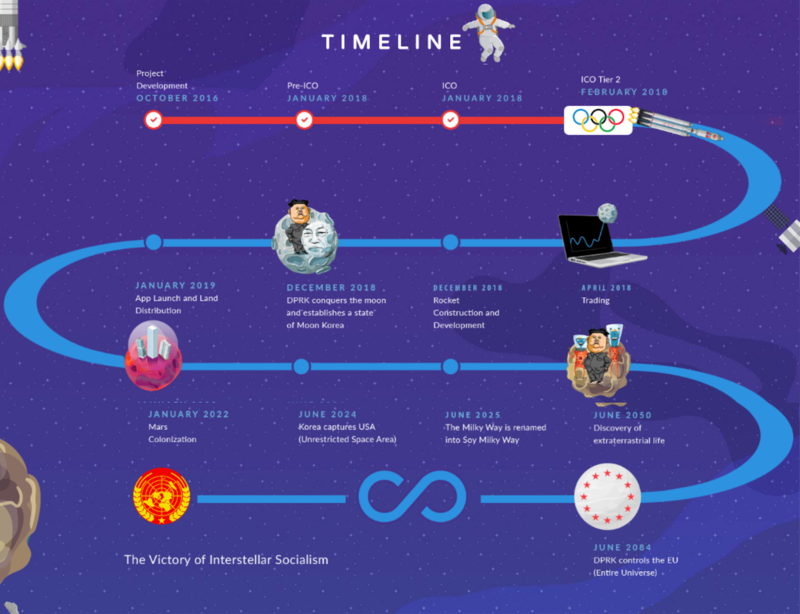 Were the first alien nation to convert into Interstellar Socialism. Team’s doctor J.Zoidberg is worldwide-known for curing injuries in a couple of hours. Tralfamadorians exist in all times simultaneously, and thus know that Kim Jong-Un is going to take all bitcoin medals. Figure skating is a special form of art for them. Hate wet handshakes. Brave and noble warriors who fight for justice and equality. Due to their thick fur wookies feel comfortable even in extreme cold and their crossbow skills are very useful in biathlon. 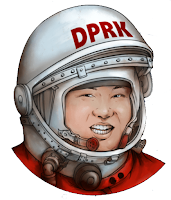 SpaceKIM was conceived as just a memecoin making fun of ridiculous looking dictator. However, we often forget that the same chubby man with a silly smile is the one who’s responsible for the suffering of millions of North Korean people. Recently, we were introduced to Asian Boss, who covered North Korea-related issues on their YouTube channel. As far as our project is managing to raise substantial amounts of money, it has been decided to allocate a part of our funds for helping North Korean defectors and raising awareness of human rights violations in DPRK. Now, buying KIM tokens you are also contributing to a good cause.